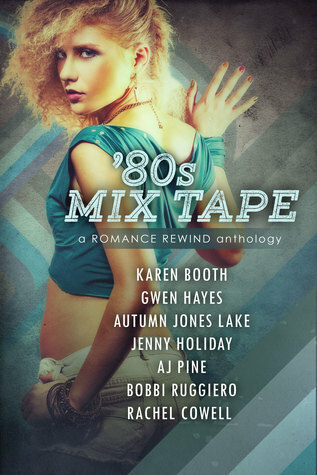 Book Blitz for ’80s Mix Tape anthology + Excerpt + Contest! I adore anthologies-discovering new-to-me authors or escaping into an a favorite author’s short story. Today’s book birthday for ’80s Mix Tape! I wound my way down to baggage claim, fetching my suitcase then out to the curb to wait for my ride to the city from an unknown volunteer for the Music Revolution Festival. Most parents would probably not be pleased by my new job, but mine were. Well, my mum was. I wasn’t sure about my dad. An award-winning photo-journalist, he hadn’t taken a picture in six months, nor had he spoken a word. Not since the stroke that left him paralyzed on one side of his body and unable to speak. Standing there, I couldn’t escape the self-doubt—first time in America, on my own, wanting to show Graham that I was not only over him, I was okay with what had happened, hoping like hell I could live up to even a fraction of my dad’s brilliance. Photographing Graham’s band left me at a serious disadvantage. $25 Amazon Gift Card ! Next PostNext Spotlight on Taking The Score + Excerpt + Contest!